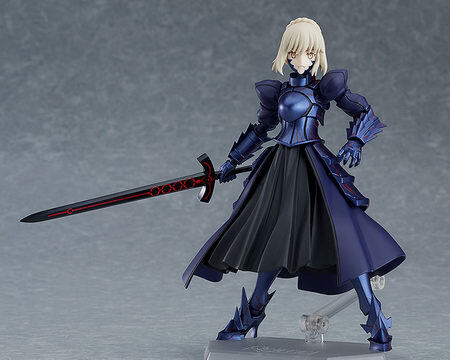 March 19th, 2019 By: GGT Category: 2019/11 release, Figure News. 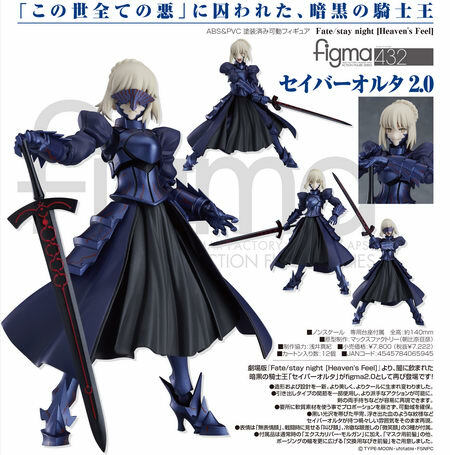 Max Factory is going to release the figma 432 Saber Alter 2.0 ( セイバーオルタ 2.0 ) action figure from the visual novel/anime movie “Fate/stay night [Heaven’s Feel]” ( フェイト/ステイナイト [Heaven’s Feel]). Will be released in November 2019. 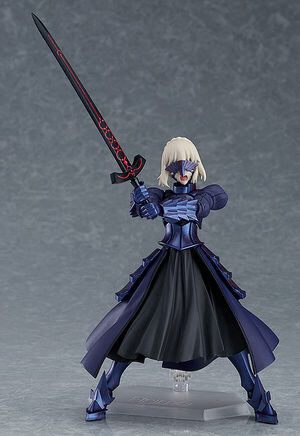 Around 140mm tall, 7,222 yen. The blackened King of Knights, corrupted by the world’s evil. 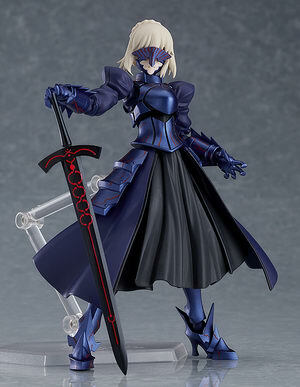 From the anime movie series "Fate/stay night: Heaven’s Feel" comes the King of Knights consumed by darkness, figma Saber Alter 2.0! The sculpting of the figma has been redone from the ground up to be more awe-inspiring than ever before. 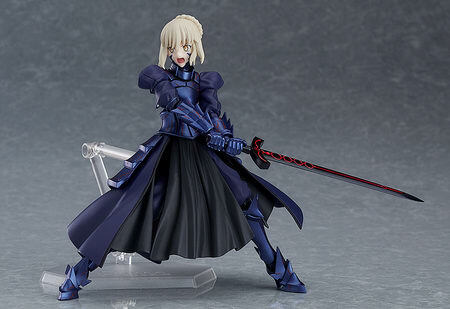 Drawer joints are used in her shoulders allowing for broader posing options, such as poses with her wielding her sword in both hands. The lustrous appearance of her blood-streaked black armor has been faitfhully captured, preserving the truly dark atmosphere that surrounds her. 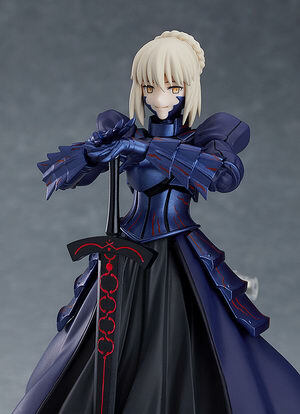 She comes with three face plates including an expressionless face, a shouting face for combat scenes and a smiling face. She comes with Excalibur Morgan as an optional part, along with front hair parts used to display her with her mask on as well as fluttering front hair parts for more posing options.